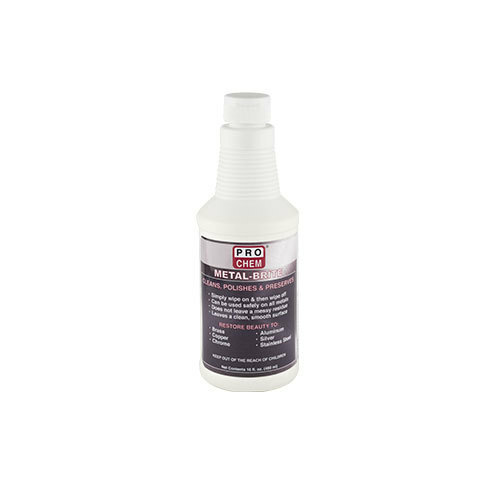 Metal-Brite | Pro Chem, Inc.
METAL-BRITE is formulated to quickly and easily restore original luster and glow to all metals. This product does not contain any harsh abrasives and can be used on brass, copper, chrome, aluminum, silver and stainless steel. Best of all, it does not leave any messy, powdery residue. Saturate clean cloth. Wipe on. Wipe off (even while still wet). Polish with a clean dry cloth.